The nuclear energy industry needs to work together to secure its future role in the fight against climate change and energy poverty, five of its most prominent leaders said yesterday at the opening ceremony of the IX AtomExpo International Forum in Moscow. Senior officials from the World Nuclear Association, the World Association of Nuclear Operators (WANO), the OECD-Nuclear Energy Agency (NEA), the International Atomic Energy Agency (IAEA) and Russian state nuclear corporation Rosatom - which hosts the annual forum - said the global industry must cooperate to harness the attributes of nuclear power as a low-carbon, sustainable and reliable source of electricity. 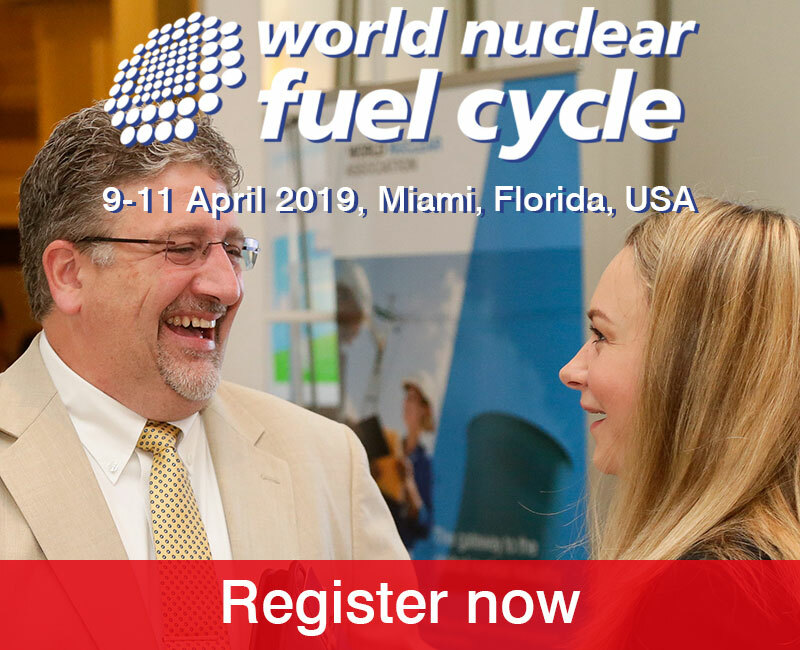 Agneta Rising, director-general World Nuclear Association, noted that nuclear generation "continues to grow", with 10 GWe of new nuclear capacity connected to the grid last year. This is about the same level as in 2015 and more than double the rate seen in the previous 25 years, she said. "Ensuring access to affordable, reliable, sustainable and modern energy for all is one of the United Nations sustainable development goals. The need for electricity is growing as the global population increases and countries seek to develop their economies and improve the living standards of their citizens. It is impressive, but also important that Rosatom has invited and attracted delegates from 64 countries to this AtomExpo," Rising said at the opening ceremony. She referred to the World Nuclear Association's Harmony initiative, which includes the goal to add 1000 GWe of new nuclear capacity by 2050, with nuclear power supplying 25% of the world's electricity by that target date. "The AtomExpo International Forum is important to keep the momentum, bringing forward nuclear energy, nuclear technologies and supplying electricity also in new countries." 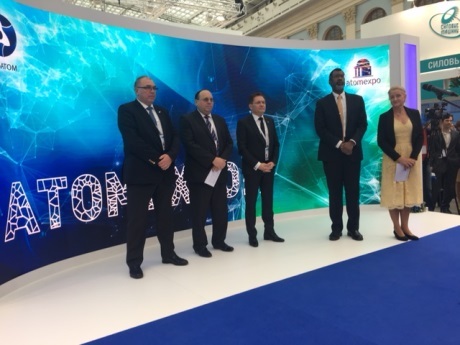 Thanking Rosatom for the event, Rising noted that the corporation's deputy director-general for international business, Kirill Komarov, becomes chairman of the London-based Association next year. WANO Chairman Jacques Regaldo said nuclear power faces new challenges, but the organisation's continued focus is on safety. "In a changing context all over the world, nuclear energy has to face new challenges: development of renewable energies, economic pressure, public acceptance, looking for a reduction in CO2 emissions. Most countries are rethinking their energy mix and nuclear energy is one of the main options to deal with this demand," he said. "The challenges are different - for the operators who were the first to build a fleet, like Russia, the USA and European countries, they now have to deal with the issue of aging plants; for those who are building new plants on a large scale, as in Asia; and for those who are discovering a new industry, the newcomers, like the UAE - but in any situation, we all have to keep in mind as we face this changing context that nuclear safety remains our overriding priority. "Relying on a strong international community, WANO's mission is to raise safety standards in operation all over the world. Safety is our first priority because it is the condition for the acceptance and development of nuclear energy. As WANO chairman I can say that, with the support of all our members, we have made tangible progress together through more challenging problems. 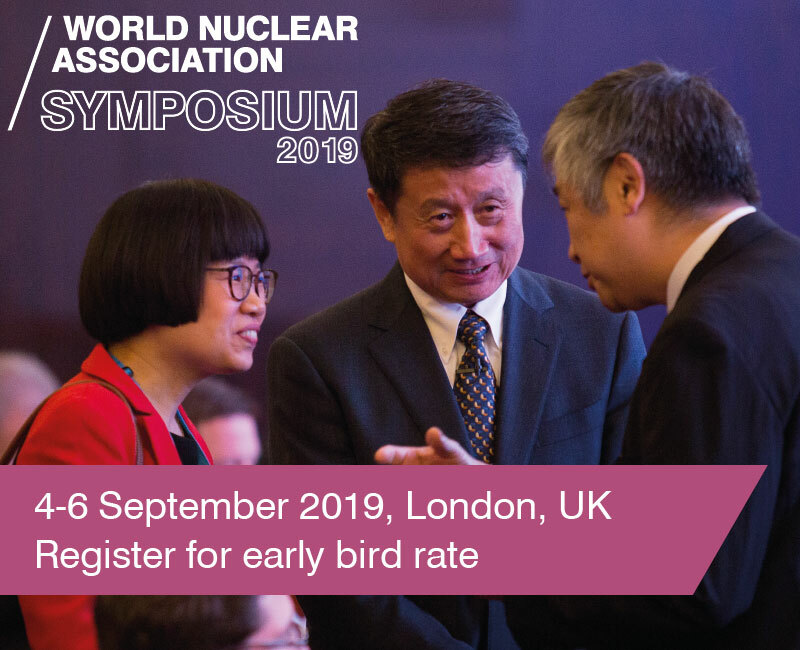 But as I always say, we cannot be complacent; we must still go the extra mile, adapting our organisation to future developments in the nuclear industry." Regaldo also underlined the importance of AtomExpo. "It is confirmation of our commitment to strengthen international cooperation in the nuclear power industry for the continuous improvement of nuclear safety. I noticed that this year one of the themes is innovation and I consider that this is a great challenge for the nuclear industry. In fact, the nuclear industry can be seen as a major industry, but new ideas are always welcome to improve the way of working and to improve safety. It is part of the WANO philosophy," he said. NEA Director-General William D. Magwood IV noted that the Paris-based agency is "an association of governments that are working together to develop nuclear energy, working together to make sure that nuclear energy works safely and effectively, working together to deal with issues such as nuclear waste and radiation protection". He added: "The NEA represents the most advanced of the nuclear energy countries that cooperate together to solve different problems. Among the difficult problems that we are working on is what happens to nuclear energy in the longer-term future. In many ways, nuclear energy is at an important crossroads around the world. While many countries are building their first nuclear power plants, there are other countries that are trying to phase nuclear power out. 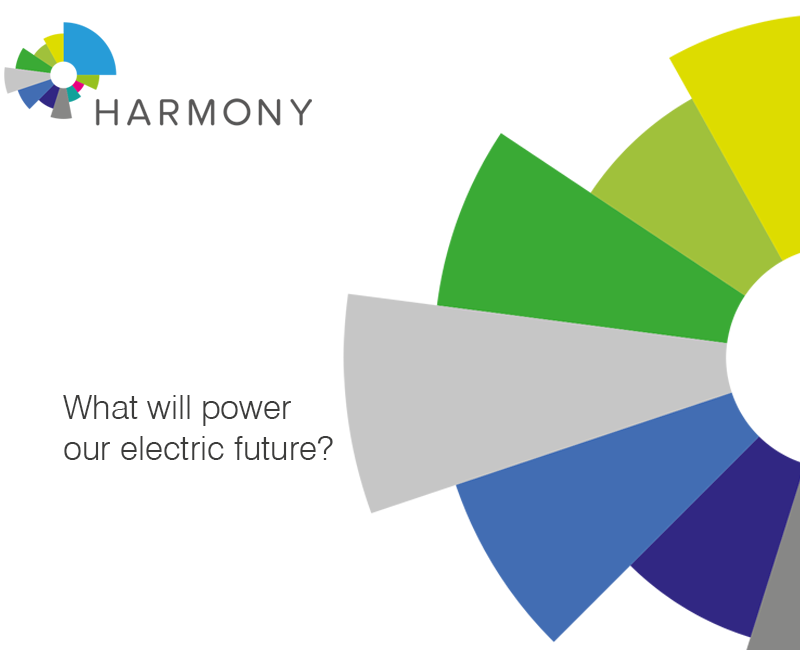 What nuclear power looks like in the long-term future depends on a few key issues. Most importantly perhaps, are we really very serious about climate change? Our analysis shows that without nuclear power solving the issue of CO2 emissions reduction becomes extremely difficult. Without nuclear power, energy security around the world also becomes more difficult. "But we recognise there are important issues to solve, such as economics, disposal of nuclear waste and public perceptions of safety, and we can solve problems if we work together. And that is why conferences like this are so important. 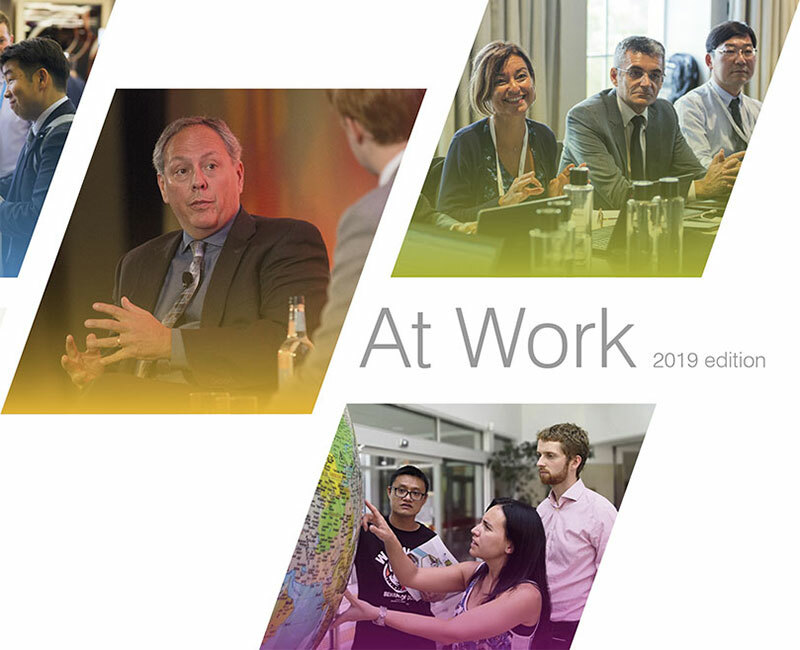 It's an opportunity for all of us to talk together about solving important issues so that we can provide for nuclear energy's use in the future and for future generations." 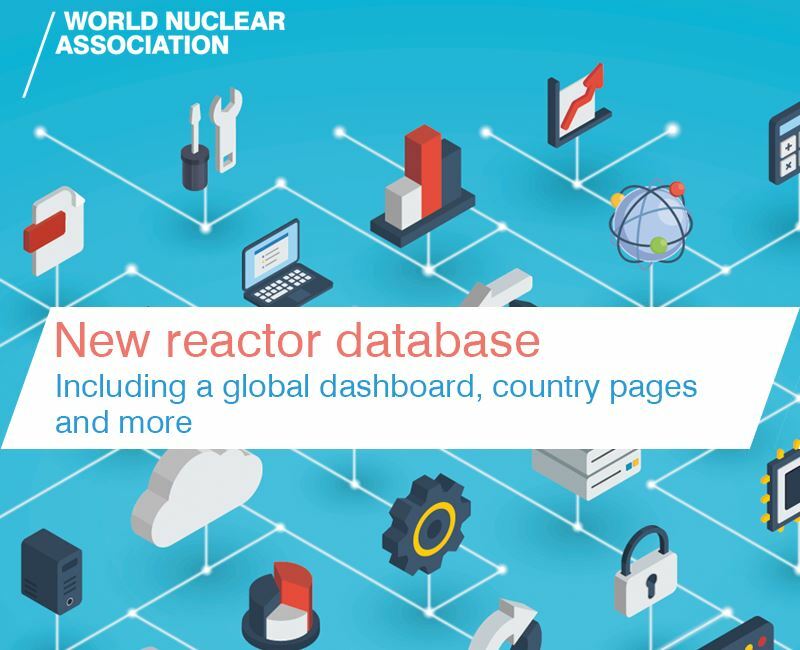 Mikhail Chudakov, deputy director-general of the IAEA's nuclear energy department, noted that there are 449 commercial nuclear power reactors in operation around the world, with a total of 392 GWe of installed capacity. This, he said, "is the highest number ever reached". "In the last two years, we have put into operation 20 new units and this is also the biggest number since the 1980s. These 20 include Russian units - the BN-800 fast reactor and a Generation 3+ VVER 1200 unit. The Russian Federation is the only country that operates a nuclear icebreaker fleet. It is one of three countries that is creating small modular reactors. I strongly believe that this AtomExpo forum will be the bridge for the next generation of reactors, from evolutionary to revolutionary reactors, and to the new clean fusion energy," he said. Chudakov congratulated Russia's civilian nuclear power plant operator Rosenergoatom on its 25th anniversary this year. The Rosatom subsidiary operates 35 reactor units in Russia. Alexey Likhachov, who is attending AtomExpo for the first time as Rosatom's new director-general, said this year's event had attracted more than 6500 delegates and 653 companies, of which 100 have exhibition stands. There are also 33 official governmental delegations and, including Russia, 65 country-participants. He gave a special welcome to newcomer countries that are participating in AtomExpo for the first time - namely, Sudan, Ethiopia, Columbia and Sri Lanka. "We're going to analyse the challenges that we face today and to find a new solid place for nuclear energy in the future energy balance. I am sure we are going to find the right solutions and only together are we going to advance those solutions," he said.